The story of the prep-to-pro generation, those basketball prodigies who from 1995 to 2005 made the jump directly from high school to the NBA. 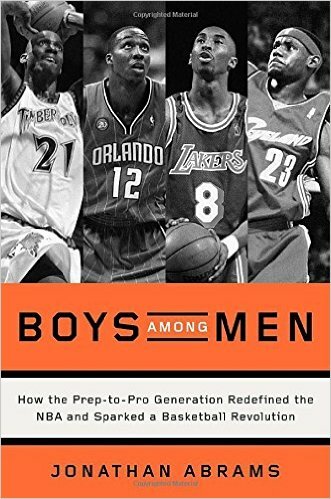 [Boys Among Men], a gripping, deeply reported book by Jonathan Abrams, late of Grantland, offers a far more nuanced study of this cohort, which includes some of the greatest players in recent history ... It’s true that some highly touted high school players failed to live up to their potential — often because the demands of the professional game outstripped the players’ physical and mental preparedness — and Abrams doesn’t flinch from these stories. But nor does he fall into the trap of judging prep-to-pro players on whether they became superstars. Mr. Abrams is such an excellent reporter and has been such a keen observer of the NBA over more than two decades that he makes an unerring tour guide. It’s a blast just to let him lead us through the tumultuous era between Mr. Jordan and Mr. James. Players who are drafted high will make millions of dollars a year from the start, the kind of payday that even more mature recruits can struggle with managing properly. 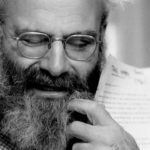 Some 18-year-olds are up to the pressure, but many aren’t, and their stories fill the margins of Abrams’s book. But he always presents their lives with empathy and care. He doesn’t gawk at the misfortunes of the NBA Draft’s famous 'busts,' nor does he offer simple moral judgments about why some prep-to-pro players succeeded and others didn’t. As such, he wraps up without a simple answer as to whether the one-and-done rule did enough to help new players adjust to the league better. What did you think of Boys Among Men?